Apostolic Revelation: What Hinder's Me From Receiving The Gift Of The Holy Spirit? 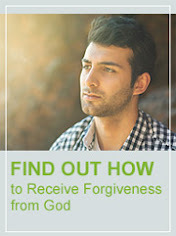 What Hinder's Me From Receiving The Gift Of The Holy Spirit? Is There A God Appointed Time For Receiving The Baptism Of The Holy Spirit Before Which We Cannot Receive It? Question : I have been longing to receive the anointing for years now. I have heard so many messages on the anointing and read various articles including the one on your website. I really don't know what is the hindrance for me to receive the anointing. One pastor who has helped thousands receive the anointing which I have also witnessed and seen told me there is a time for it and no matter what I do until that time comes I can't receive it. I'm living a sinful life and long to live a Holy life all the time reading the Bible and being at the feet of God in prayer. I very much know that only the anointing can change my life. And after learning the wonderful aspects and deep truths about the anointing I just am desperate to receive it. I can safely say that almost 90% of Christians do not know what anointing really is. 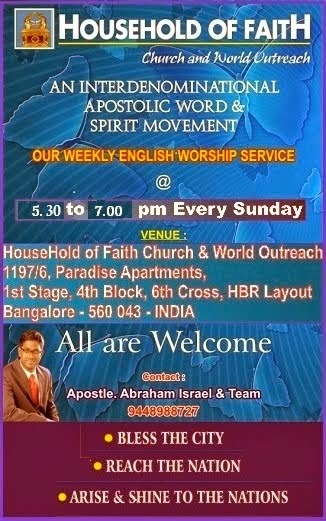 I have heard that DGS, Ps Mohan, Ezekiah Francis and Paul Yonggi Cho and so many other great men of God do just two things which is read the Bible and speak in tongues all the time which they themselves said was their secret to living such victorious or great life or success in their ministry. I really am so confused not knowing what to do, but I'm sure it is the anointing which is the need of the hour for me. I want to know when I will receive the anointing or what I should do or if there is someone who can be a link between me and God to get some real answer. Finally, my message to you could be MUCH MUCH MUCH MUCH MUCH longer with a desire to tell you how much I want the anointing but it might be very tedious for you to read it. I would be really grateful to you for a reply. Answer : Dear Brother, Greetings to you in Jesus name! Praise the Lord! I am glad that you wrote this important thing to get clarity and receive the gift Holy Spirit. To tell you the truth, I have been brought up in a denomination that believes that gift of the Holy Spirit and speaking in tongues were not for today because the founder of this particular denomination wrongly believed that God can give love as a substitute instead of tongues which is only lower to it. So they were always skeptical to the speaking of tongues and some of the pastors in this denomination even believed that they were from the devil and discouraged all the believers to ever go for it as they might get a counterfeit of it. What a pathetic lie has blinded them all? But we know from the Scripture that the gift of the Holy Spirit is for all believers, the power of which we can literally see and hear (Acts 2:39, 33). All those who want the genuine gift of the Holy Spirit must first get saved and then procedurally should take baptism in water immediately to conform their faith before all and be convinced of their new life in Jesus, then seek for the Holy Spirit from the Lord by their faith or through the laying on of the hands of the apostles or men of God who have faith for it (Acts 19:1-6). Yes the Baptism of the Holy Spirit will give power over sin and will make you a witness in the place where God has called you to work for Him and bring Him glory (Acts 1:8). The hindrance to you receiving the gift of the Holy Spirit is this lie that some pastor have told you after laying on of hands upon you that, 'there is a time for it and no matter what you do until that time comes you can't receive it". I believe that the pastor might not have practiced enough faith to release the Spirit, or you would have had some hindrance which would have prevented it. I do not blame the pastor alone for it, but the people who believe the Bible lack clarity to audaciously claim this precious gift as theirs by faith to see the manifestation of the truth of the Bible in their lives mostly. See there is no where God has told us to wait to receive the Holy Spirit after Pentecost but only before it, because the appointed time of God had not come before the day of Pentecost in which God appointed to pour out His Spirit i.e. on the 50th day after Jesus' resurrection (Acts 1:13-14), but once Pentecost happened God promised to "pour out [His] Spirit on all flesh" and do not forget to remember that you are also included in it (Acts 2:17, a). Praise the Lord! Then Jesus says in Luke 11th Chapter to ask for the gift of the Holy Spirit from our Heavenly Father who is more than willing to provide you with this if you ask Him in faith, when you ask in faith our heavenly Father has promised that he will not give a counterfeit evil spirit of idolatrous stone, poisonous serpent or torturous scorpion (Luke 11:9-13). To pray is to pray in faith, if we will pray in faith we will receive what we have asked for in faith (James 1:4-8). When you ask for the gift of the Holy Spirit, believe that you will definitely receive it because God is a good Father and He will not withhold anything good from you (Mark 11:24), when you believe this truth it will make you receive this gift before even you can realize it. Make sure that you have forgiven everyone in the past and present, so that you can operate in such a present tense faith (Mark 11:25-26). Every time someone is not able to receive the gift of the Holy Spirit it is because of hidden religious pride, fear of receiving counterfeit, unbelief because of wrongly waiting passively until some good day comes, etc...all these are hindrance to receiving the gift of the Holy Spirit. Paul asked the Church of Galatia, "2 This only I want to learn from you: Did you receive the Spirit by the works of the law, or by the hearing of faith?" (Gal 3:2-3). In other words, Paul was telling that no matter how much they work out themselves from so called spirituality to super spirituality by keeping the law, they cannot receive the Spirit by acting like it is by their own effort that they are going to get, but rather by simply believing the promises of God and holding on to it, God freely gives His Spirit as they hear the Word of God and learn to appropriate it by faith alone that increases as they keep hearing the Word of God (Rom 10:17). Paul also clearly states that "13 Christ has redeemed us from the curse of the law, having become a curse for us (for it is written, “Cursed is everyone who hangs on a tree”), 14 that the blessing of Abraham might come upon the Gentiles in Christ Jesus, that we might receive the promise of the Spirit through faith." (Gal 3:13-14). Christ was cursed so that you could get the promise of the Spirit through faith like Abraham, do you believe this? Say, AMEN! Do not look for the supernatural and miss naturally to believe and receive the gift of the Holy Spirit in a simple way. God is so desperate to give His anointing of the Holy Spirit than you are desperate to receive it. Say, AMEN! KEEP THESE 5 POINTS IN YOUR MIND TO RENEW YOUR MIND AND SUBMIT TO GOD YOUR BODY AS A LIVING SACRIFICE (Rom 12:1-2). 1) God who has given His only Son to save you, will He not give you this most wonderful gift (Rom 8:32)? Say it out loud, 'God desires now to give me this most precious gift of the Holy Spirit!' Know one thing for sure, God desires to give you the gift of the Holy Spirit more than you want to receive it. To read the Bible and speak in tongues all the time is really the secret to all testimonies of victorious and great life of success in the ministry of many mighty apostolic men and women of God (Acts 6:4). I will be praying to the Lord so that His Spirit will come upon you in power and help you be a witness to many in the coming days.